Biology and Pathology of Nerve Growth discusses the biochemical basis of cell interaction involved in nerve growth, regeneration, and diseases. This book contains six chapters that focus on neuron-glia interaction. 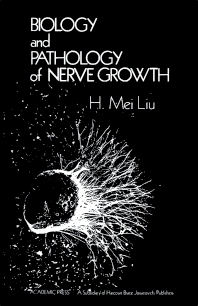 After briefly dealing with the embryological development, this book goes on examining the process of neuronal maturation, myelination, and integration with target tissues. These topics are followed by discussions on the controversial issues of guidance and the nature of the factors that determine the matching of nerve with muscle from morphological and biochemical points of view. The subsequent chapters consider the principle of regeneration as seen in lower animals. Other chapters highlight the issue of reaction to injury. This book further demonstrates the interrelatedness of neural organization and reaction to injury at the cellular and molecular levels. This interrelationship operates on the same biophysical principles across all kinds of animal and plant species. This work is of great value to neurobiologists, developmental biologists, and pathologists.